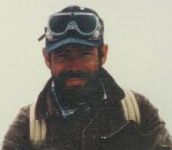 Dr. Jeffrey E. Barlough was born in Los Angeles in 1953, and obtained his Bachelor of Science degree from Loyola Marymount University in 1975. He received his veterinary degree from the University of California, Davis, and a Ph.D. in virology from Cornell. He has been publishing scientific journal articles, novels, and non-fiction books on a variety of subjects since the 1970’s. He is also an armchair historian and has edited small press publications of minor and archaic English works. Here is the Official Website of the Western Lights Series. Western Lights — (2000- ) Publisher: In the fog-enshrouded city of Salthead, metaphysics professor Titus Tiggs and Dr. Daniel Dampe investigate a series of strange, impossible sightings-from phantom ships and ghosts to creatures long extinct. What they uncover is an ancient, mystical evil intent on destroying every person in the town. 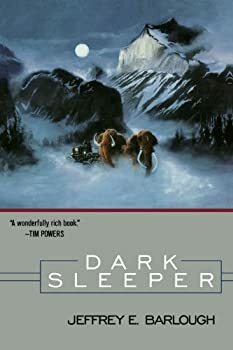 Written in a style reminiscent of 19th century authors like Charles Dickens and Thomas Hardy, with tantalizing elements of science fiction and dark fantasy, Jeffrey E. Barlough’s Dark Sleeper draws the reader into a complicated plot featuring dozens of fascinating characters and culminating in a surprising and unforgettable climax. CLICK HERE FOR MORE WESTERN LIGHTS. Dark Sleeper is a delightful, debonair and decidedly Dickensian departure from dime-a-dozen fantasy. Jeffrey E. Barlough, who published the book in 2000, attempts and mostly succeeds in writing an entire fantasy novel in the style and form of Charles Dickens, with a dash of Sir Arthur Conan Doyle thrown in. Let me be clear. This is not a steampunk novel, set in the nineteenth century while incorporating twentieth-century technology, winking at the sensibilities and conventions of the time. Barlough has created a genuine alternate world, and tells a nineteenth-century story that includes demons, magic, immortals, mastodons and saber-tooth cats.